At Wellness®, they do whatever it takes to create the healthiest foods for the pets that depend on us. Food feeds their souls, sustains their lives and protects their bodies. To help you provide your pet a healthy, happy, long life through the power of natural nutrition. • $1.00 off any Wellness Canned Cat or Dog Food purchase. 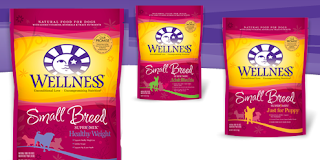 $3.00 off any Wellness Dry Cat or Dog Food purchase.